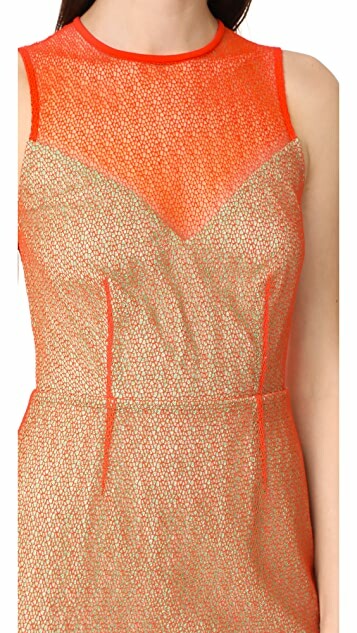 A multicolor DVF dress with a contoured silhouette. Raw hem. Sheer yoke. Sleeveless. Hidden back zip. Lined. Trim 2: 86% triacetate/14% polyester.